Today, with the threat of global warming becoming more and more apparent, our days are also becoming hotter and hotter by the day. And with no immediate solution at hand, we can only rely on our air conditioners to provide us with the necessary cool air to ward off the heat. But of course, air conditioners are only machines with limited capacity and a limited life. While they may work at their full capacity in the first few months, air conditioners will eventually need proper maintenance or repair in order to maintain their condition or restore their peak performance. If you are one of those people that are worried on how you will maintain your air conditioners at their peak conditions, then here are 3 very helpful tips. Whenever dealing with machines or tools, regular cleaning is very important in order to maintain their condition. You see, for instance, if a foreign substance gets mixed with the gears of a machine, there will be a high chance of the machine malfunctioning. And in the case of air conditioners, if a foreign substance manages to penetrate the filters or air pipes, then there will be a very big chance that air flow will somehow be affected and may cause a clog that will lead to bigger problems. Thus, it is very important that you regularly clean the outside of the air conditioner and if possible, the internal parts as well. Although always remember that you have to be careful when cleaning the filters, compressors or even the motor of the air conditioner. There is no need to discuss the importance of a filter in an air conditioner. 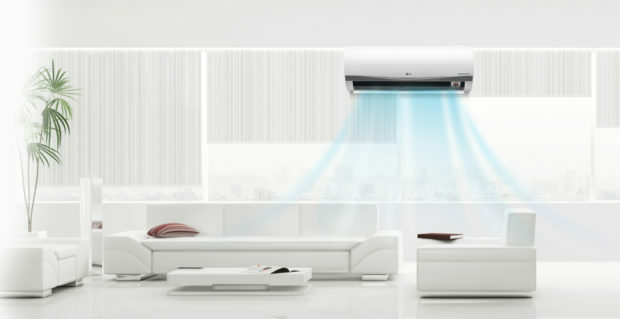 They are the ones responsible for filtering the cool air that will flow to your rooms. A clean filter will blow a healthy cool air while a dirty filter will obviously just give you air filled with dust and other harmful objects. While regular cleaning may do the trick, there are cases when you need to replace the filter especially if the filter has been used for some time. Try to look for damages such as holes, plastic cracks and other forms of damage that no amount of cleaning can restore. In this case, you will have to replace the filter of your air conditioner. Do not worry though as finding a compatible filter will be easy as they are naturally replaceable items. As for the Freon, it is the one responsible for making the air cool. So, if you notice that the air from the unit is not cool enough compared to when it was new, then you probably need to refill your unit’s Freon supply. Try to consult the manual and see if a do-it-your-own Freon is possible, if not, consult a professional company for help. Last but not the least; try to get your air conditioners checked by professionals at least once every year. Professionals are always the best and most qualified people to give assessments of the present condition of your air conditioner. With their skills, knowledge, and experience, they will be the perfect people to maintain and improve the condition of your air conditioner. For more information about professional maintenance of your air conditioners and other household concerns, visit Spartan Plumbing & AC Repair.